Donated by: Ian Johnston, Park Orchards Victoria. The 9817 was very unique in the 200 Series range. This computer was fully modular; mass storage, displays, printers and input devices were separate components. The 9817 incorporated the new stackable case design that was first used with the 9121 disc drive and used extensively in the 300 Series. 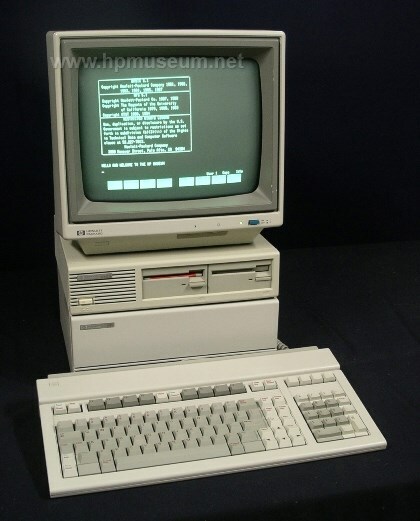 The 9817 was also the first HP computer to use the Motorola 68010 processor and the only machine in the 200 Series to use the new CPU. The 9817 looked and performed like a 9000/310; but, it used the same backplane and interface cards as the other 200 Series computers. The 9817 was also known as the 9000 Model 217 and 9000/217. In 2014, the museum had four of these computers in the collection. The power supplies on these have not aged well. Only one of our units is functional. The 9000/217 was obsoleted in May of 1986.